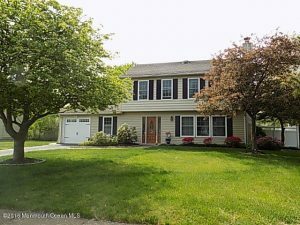 Open House in Ocean County with photos and maps for Sunday July 31, 2016 in Barnegat, Stafford Twp, Lacey (Forked River & Lanoka Harbor), Bayville, Long Beach Island, Toms River, Brick, Jackson, Waretown, Beachwood, Point Pleasant, Mantoloking/Seaside Area and all of Ocean County (These are the only scheduled Open Houses in Ocean County for this Sunday). Click here to set up your own Open House Alerts in the areas in which you’re interested. No more searching for Open Houses, you’ll get notified immediately! Below is the complete list of Open Houses in each town for July 30 & July 31 2016. Most Open Houses will take place between 12:00 PM and 3:00 PM, so use the maps provided in the links to plan your day…or call me and I’d be happy to set up an exclusive “tour of homes” at your convenience. Get a positive, helpful consultant for buying or selling a home in Ocean County. Toms River Community Information and Housing Market Trends – The data on in this link is consolidated from multiple sources and includes current listings, recent sales, and more. Whether you’re a buyer or seller, the knowledge you gain will help put you in control of your real estate transaction. What’s YOUR home worth? Get a FREE instant valuation: www.oceancountyhousevalue.com. There are over 200 open houses in Ocean County this weekend. Here is a map of all Open Houses in Ocean County for July 30 & July 31, 2016. Open House in Ocean County with photos and maps for Sunday July 24, 2016 in Barnegat, Stafford Twp, Lacey (Forked River & Lanoka Harbor), Bayville, Long Beach Island, Toms River, Brick, Jackson, Waretown, Beachwood, Point Pleasant, Mantoloking/Seaside Area and all of Ocean County (These are the only scheduled Open Houses in Ocean County for this Sunday). Click here to set up your own Open House Alerts in the areas in which you’re interested. No more searching for Open Houses, you’ll get notified immediately! Below is the complete list of Open Houses in each town for July 23 & July 24 2016.
! !JUST REDUCED!!! Shore Summer Beauty. Spectacular river views from your own shore home. Enjoy panoramic views from your living / dining room with hardwood floors, enclosed porch, wrap around balcony or rooftop deck! This Shore 3 B/R 3 Bath home can be yours to enjoy with plenty of room for guests. Entertain on your paver patio in your lush landscaped back yard. In Winter, stay warm & cozy with your wood burning fireplace. In Summer, have the best view of the fireworks & the River Lady as it sails by. Walk right across the street and join the Beachwood Yacht Club to enjoy all the sailing and social events. And you’re just steps to the Beachwood Community Center & Boat Ramp as well! Bike, run, walk and enjoy. Don’t miss this one. Beachwood Community Information – The data on in this link is consolidated from multiple sources and includes current listings, recent sales, and more. Whether you’re a buyer or seller, the knowledge you gain will help put you in control of your real estate transaction. There are over 200 open houses in Ocean County this weekend. Here is a map of all Open Houses in Ocean County for July 23 & July 24, 2016. Open House in Ocean County with photos and maps for Sunday July 17, 2016 in Barnegat, Stafford Twp, Lacey (Forked River & Lanoka Harbor), Bayville, Long Beach Island, Toms River, Brick, Jackson, Waretown, Beachwood, Point Pleasant, Mantoloking/Seaside Area and all of Ocean County (These are the only scheduled Open Houses in Ocean County for this Sunday). Click here to set up your own Open House Alerts in the areas in which you’re interested. No more searching for Open Houses, you’ll get notified immediately! Below is the complete list of Open Houses in each town for July 16 & July 17 2016. Featured Open House of the Week: 234-A Willow Ln, Forked River, NJ 08731. 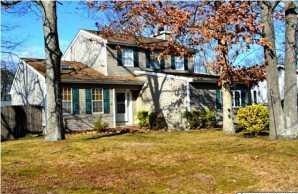 Are you looking for a nice sized colonial with a first floor Master Bedroom ? This is could be exactly the home for you. Nice home in a great neighborhood. The hardwood floors really beam in this home filled with natural sunlight.Sunrise Beach! 3 large bedrooms w/ generous sized closets. Step saver kitchen w/ custom tile backsplash . Quality tilework in place. Den w/ brick fireplace &sliders to backyard. Fully fenced yard w/deck. 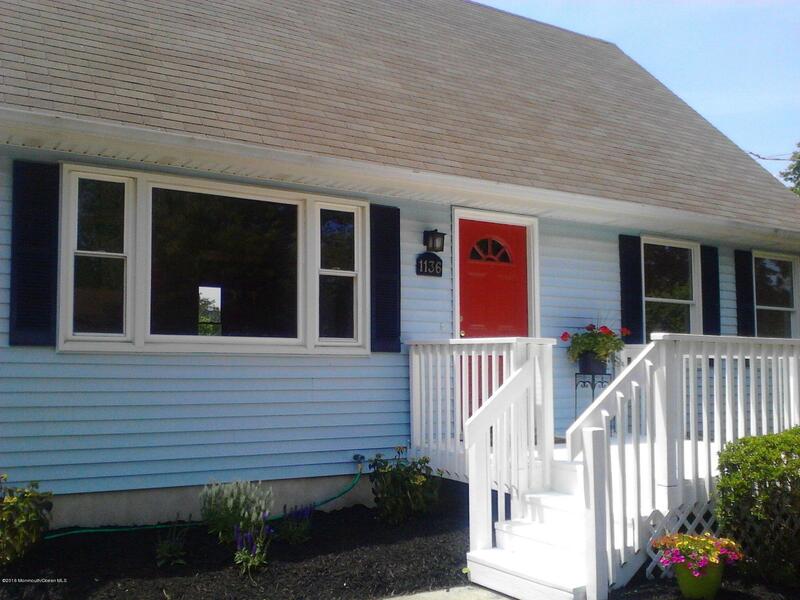 Seller replaced the HVAC system,bought newer appliances, layed ceramic tile floors, and more. Lots of storage!Home is eligible for zero-down 100% financing with a USDA loan to qualified buyers. There are over 200 open houses in Ocean County this weekend. Here is a map of all Open Houses in Ocean County for July 16 & July 17, 2016. Open House in Ocean County with photos and maps for Saturday, July 9 and Sunday July 10, 2016 in Barnegat, Stafford Twp, Lacey (Forked River & Lanoka Harbor), Bayville, Long Beach Island, Toms River, Brick, Jackson, Waretown, Beachwood, Point Pleasant, Mantoloking/Seaside Area and all of Ocean County (These are the only scheduled Open Houses in Ocean County for this Sunday). Click here to set up your own Open House Alerts in the areas in which you’re interested. No more searching for Open Houses, you’ll get notified immediately! Below is the complete list of Open Houses in each town for July 9 & July 10 2016. Featured Open House of the Week: 1136 Sylvan Dr. Toms River, NJ. What a bargain ! !Pretty close to a BRAND NEW HOUSE! Air Conditioning,Water heater,Furnace,and Floors are ALL BRAND NEW! All Anderson windows too. Almost 2000 sq. feet of freshly painted living space.Upgraded kitchen features Frigidaire stainless-steel appliances, granite counters, upgraded cabinetry and new deep sink and faucet. Newly opened floor-plan receives plenty of fresh sunlight.Custom Baths.Finished basement has an over-sized den, laundry area, large rec.room and even a nice office that could be a 5th bedroom. Ceiling fans in all bedrooms. Home has a plethora of storage options. Freshly landscaped with new grass seeding in the backyard. Enjoy 3 decks and a neo-modern walkway. Vinyl fencing, garden and a swing-set complete the backyard. 5 cars? No problem here… plenty of parking. Nice quiet Street and the desired Hooper Ave. Elementary school for the kids . There are over 200 open houses in Ocean County this weekend. Here is a map of all Open Houses in Ocean County for July 9 & July 10, 2016.